My mom made Blue Moon Cupcakes!!!!!!! She is a big fan of Pinterest, saw the recipe and thought I would like them. And boy do I like them, absolutely delicious. They have a slight hint of orange and the beer gives it a hardy flavor without being heavy. She made them the day we arrived and the flavors just keep getting more rich. I have made a request for a Guinness cake this year on my birthday. 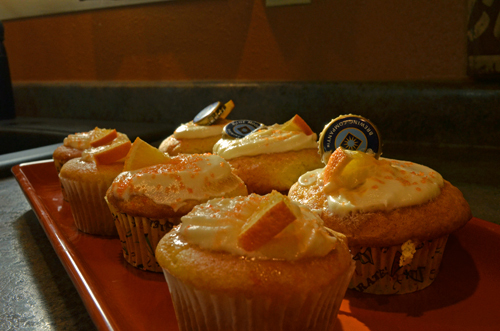 This entry was posted in Beer, Cooking and tagged Beer Cupcakes, Blue Moon Cupcake, Pinterest. Bookmark the permalink. YUM!! They look beutiful and delicious! I had to go to pinterest immediately and find and repin the recipe! My husband will love these!!! 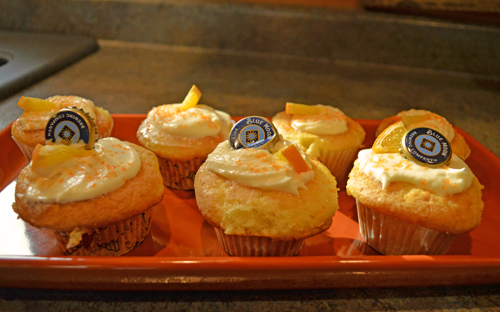 They look fantastic….beer cupcakes…who’d a thought. It is true…your Mama LOVES you!